Imagine that there are American MIAs who chose to remain missing after the Vietnam War. Imagine that there is a family in which four generations of strong, alluring women have shared a mysterious connection to an outlandish figure from Japanese folklore. Imagine just those things (don't even try to imagine the love story) and you'll have a foretaste of Tom Robbins's eighth and perhaps most beautifully crafted novel - a work as timeless as myth yet as topical as the latest international threat. Sissy Hankshaw, an almost flawlessly beautiful small-town girl with big-time dreams, hitchhikes her way into your heart, your hopes, and your sleeping bag in Tom Robbins's magical, funny, and most famous novel. Follow Sissy's amazing odyssey from Virginia to chic Manhattan to the Dakota Badlands, where FBI agents, cowgirls, and ecstatic whooping cranes explode in a deliciously drawn-out climax. 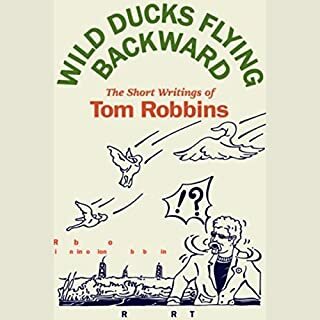 A generous sampling, collected here for the first time and including works as diverse as scholarly art criticism and some decidedly untypical country music lyrics, Wild Ducks Flying Backward offers a rare sweeping overview of the eclectic sensibility of an American original. 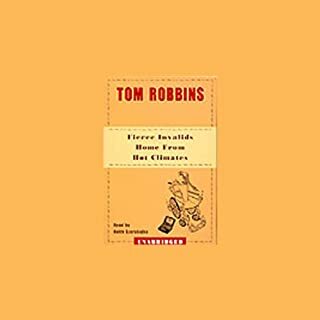 ©1994 by Tom Robbins (P)1995 by Dove Audio, Inc. 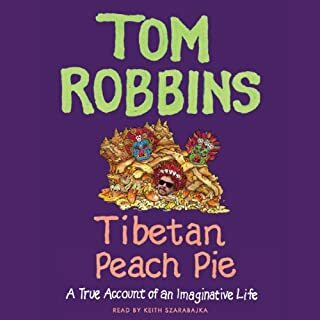 Whenever I read or listen to a Tom Robbins book, I aways marvel at the way the layers, the concepts and the crazy characters are woven together. This is probably one of my favorite books of his. Give it a listen, but be ready to have an open mind to embrace all the concepts that he presents to you. Tom Robbins is a master, and this is a good one. Barry Bostwick as a reader was just awesome. 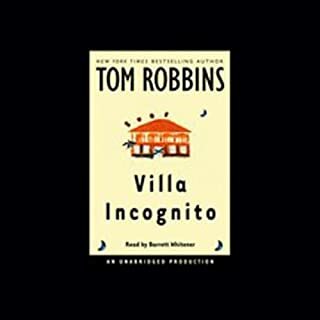 I highly recommend this, or any of Tom Robbin's books. 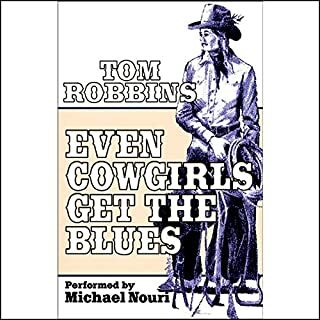 This was not my favorite Tom Robbins. For my money, Fierce Invalids Home From Hot Climates was more cohesive, funny, and entertaining. This was not bad, but had 2 things against it. The first is horrendous sound quality... this must have been recorded in a basement using an old radioshack mic on a TRS-80. The reader did a fine job (in spite of the fact that maybe should have been a woman like the main character), but there was no compression or proper post-production, so the female character was too quiet and then when you'd turn up the sound the male character would nasally grate... The second thing is this is written in the 2nd person, so everything is "you did this", etc. It takes some getting used to. This was my first Robbins book, but won't be my last. His phrasing is laugh out loud funny. 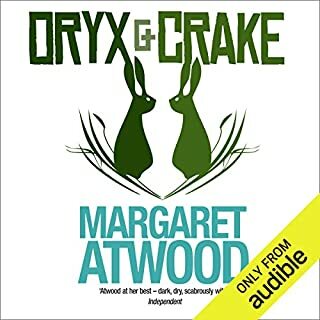 The book didn't get the 5th star from me because of Bostwick's narration. Barry trying to do Steve Martin while telling the tale from the prospective of a small, squeaky voiced woman just didn't work. However, Tom Robbins work came shining through. A hilarious romp where objectivism collides with mysticism -- while taking neither too seriously. A cadre of clandestine characters consider all manner of profit and personal transformation. Will personal responsibility overcome victimization and entitlement? Will self-indulgence be defeated by self-actualization. Can a contrary consciousness kill cancer? Will anyone ever get on the pad? The narrator, Barry Bostwick, is exceptional. Not one of Robbins better works. The 2nd person narrative perspective is interesting, but there is a reason why it is not used that frequently. Robbin's pulls it off, but the plot and characters of this book are, dare I say, mundane compared to some of Robbins other works. But really the biggest problem with this story is Barry Bostwicks reading. The voices of the lead male (is that Jack Nicholson I hear?) and female are so bizarre and off the mark that it is actually detrimental to understanding the charchters. Overall a very enjoyable story, but i would recommend picking it up in book form. 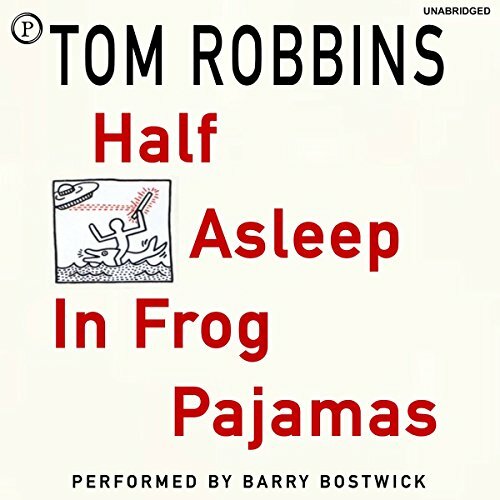 Tom Robbins is always an entertaining listen and Barry Bostwick is an excellent narrator. Like all his books the characters are complex and the plot has more twists than a martini. This author writes as if he is sitting at his desk, behind his computer, but instead of it being on the floor it is perched on one of the side walls, defying gravity: He sees things in a suitably odd way. Of course this makes for hilarious characters doing bizarre things that sound so normal in the reality he devised for them! As good as his "Fierce Invalids Home from Hot Climates." If you are ready to view the world on its side, then this is for you. It was hard to tell which was better: the writting or the delivery. The book itself was fantasticaly funny and enjoyable, but we think it was the reading of it which made it so much fun. Lots of times we broke into gaffaws, others we sat in the car in a parking space waiting for a particular good passage to end. We were sad when it ended and haven't found a good one to replace it yet. It's a tough call, but I think I actually liked this book more than "Fierce Invalids..." It was fun and certainly had me laughing out loud in places. I'd listen to this book a second time.